Professional Examination Board MP PEB published the official recruitment notification for filling posts of vacant posts of the overall Social Security Extension Officer under Social Justice, Disabilities Welfare Department, and Madhya Pradesh Government. All eligible candidates can fill application form online at the official website of MP Vyapam. Last date of application form submission is 12 June 2017. Recruitment Examination-2011 will be held on 1 -2 July 2017. Selection of the samagra samajik suraksha vistar adhikari (समग्र सामाजिक सुरक्षा विस्तार अधिकारी) of samajik nyay, Nih shakt kalyan vibhag Mp Government will be filled through the written examination. Mode Of Payment: Payment via Bank Deposit. The India navy published the official recruitment notification for inviting online application form from unmarried male candidates for enrollment as sailors for senior secondary recruiters SSR – Feb 2018 batch course commencing febaury 2018. All eligible candidates who hold the eligibility criteria they can apply online application form at the official website of Indian Navy. All intermediate pass male candidates can fill application form. Online applications are invited from unmarried male candidates (who fulfill eligibility conditions as laid down by the Government of India) for enrolment as sailors for Senior Secondary Recruits (SSR) - Feb 2018 Batch. All India Institute of Medical Sciences, Bhubaneswar published the official recruitment Notification Advt. No: AIIMS/BBSR/Admin-II//2017/05 Dated: 05.05. 2017 for inviting online application form for various categories of the posts. 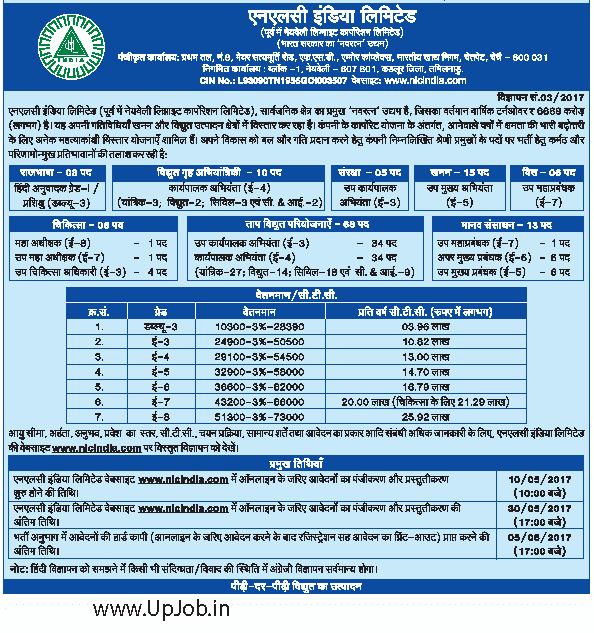 Notification is published for filling total 1212 posts of different category. All eligible candidates can fill application form till the last date 28 may 2017. Notification is published on 5 may for filling NON-FACULTY POSTS (GROUP-B) IN VARIOUS DISCIPLINES AT AIIMS BHUBANESWAR ON DIRECT RECRUITMENT BASIS. Application form is invited online for All India Institute of Medical Sciences, Bhubaneswar (Odisha). Chief Minister of uttar pradesh now going to start the screening of those government employees who is 50 year old and doing government Job. CM of Uttar pradesh now going to work on policy of perform of Retire. Government will do screening of incompetent employee of 5 years. Order regarding Screening of government employee is already published. Government of India, Ministry of railways now going to publish the official recruitment Notification for inviting online application form for filing posts of Group D categories. Notification will be published for special recruitment Drive for persons with disabilities for erstwhile group D posts. Notification will be published online on July 2017. Selection of the eligible candidates will be done through the written examination which will be held in the month of September 2017. Selected candidates for group D vacancies will be appointed in the pay grade of rs 1800. Application form is invited online only. Candidates can fill application form at the official website of Railway Recruitment Cell RRC. Total no of vacancies are 9800 including various categories. Important recruitment details as are following. Odisha public service commission OPSC published the official advertisement No 04 of 2017-18 for inviting online application form for the recruitment of Odisha Judicial service examination 2017. All eligible candidates can fill application form online at the official website of OPSC. Last date of application form submission is 5 June 2017. Last date of receipt of application form is 5 June 2017. Notification is published for filling total 110 posts of civil judge posts of different category. Selection of the eligible candidates will be based on through the written examination preliminary, mains examination and personal interview test. Selected candidates will be appointed in the starting pay scale of 27700-770. NLC India Limited published the official recruitment Notification 03/2017 for inviting online application form for filling various categories of the posts. All eligible candidates can fill application form online at the official website of NLC India.